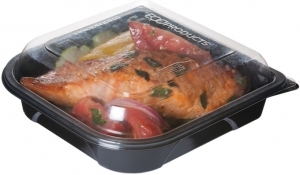 Eco-Products has built the largest portfolio of environmentally preferable foodservice products in the world. 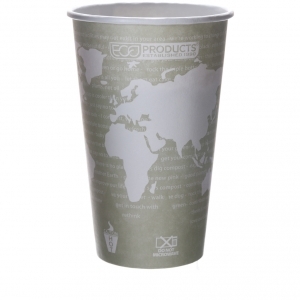 From the very start, we have designed our products with both upstream materials and downstream disposal in mind, so we can reduce environmental impacts throughout their lifecycle. 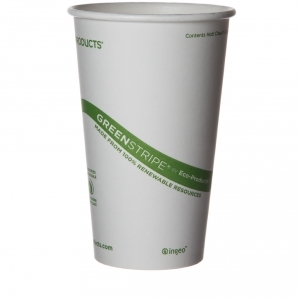 Our GreenStripe line is made from renewable resources that can be grown again and again, and the vast majority of these can be composted at commercial composting facilities. 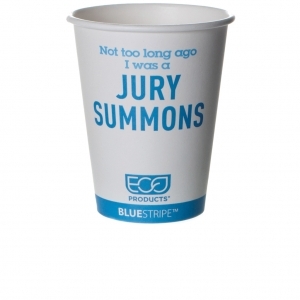 Our BlueStripe line is made from post-consumer recycled content. 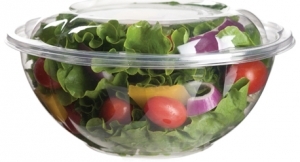 Not only are we giving plastic and fiber a new life, we also are helping to boost struggling secondary plastics and fiber markets by purchasing these materials to use in our products. 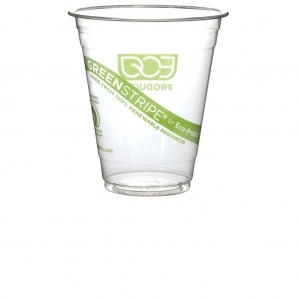 Through these two product lines, we have an option for every foodservice operation that wants to do something good for the planet. 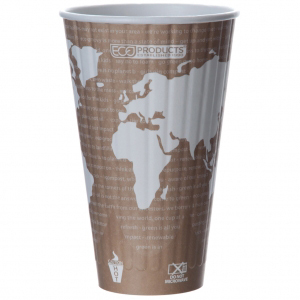 More than simply making sustainable products, we go beyond to meet our customers’ needs. 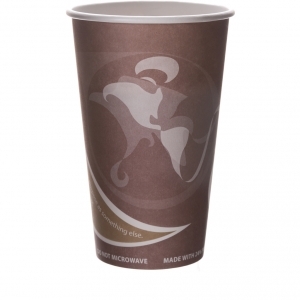 If we don’t offer the item that our customers desire, our in-house product engineers will create it for them. 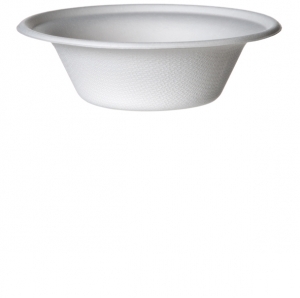 Our team is constantly expanding our bundle of products for new sectors and new needs. Got something in mind? We can make it happen! Over the past few years, we have been working to eliminate legacy products that don't meet our current standards. 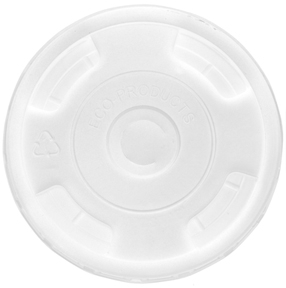 In 2017, we successfully weeded out virgin polypropylene (#5) soup cup lids from our inventory. 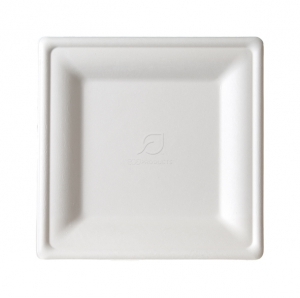 That was our final product made from 100% virgin material in our product bundle. 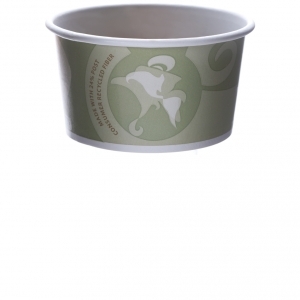 We offered it because when we began to offer soup cups years ago, there was no heat-tolerant compostable plastic available. 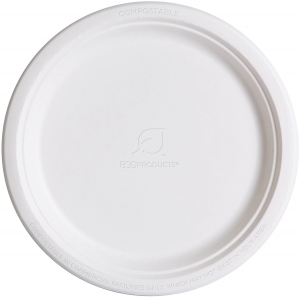 Now that compostable soup cup lids are a thing, we felt compelled to remove virgin plastic lids from our catalog, despite them being profitable and popular. 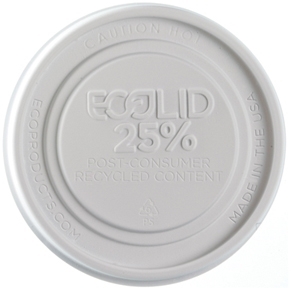 The process to eliminate this lid from our line was long and arduous, but a cross-functional team including Sales, Product Development, Supply Chain, Marketing, Finance, and of course our Sustainability Maven, worked for years to put our money where our mouth is and make our bundle even more sustainable. 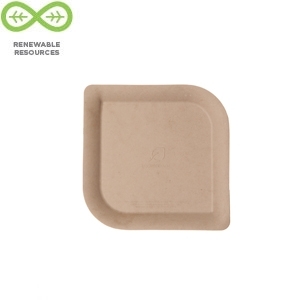 While we sell compostable cutlery, we also have offered our less expensive PSM cutlery for years, which is made of a blend of biobased plastic and traditional polypropylene. 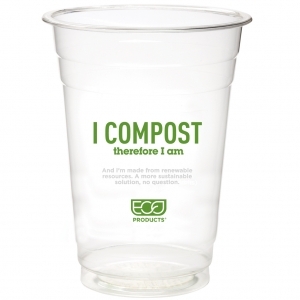 Since it can’t be composted, we originally set a goal to eliminate it from our inventory by 2020. 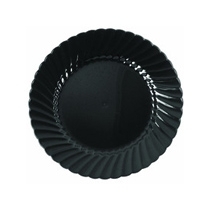 Changed the name from Plant Starch Cutlery to PSM to remove the word “plant” to reduce confusion about disposal options. 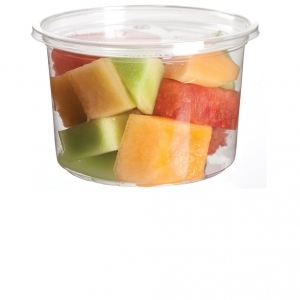 Put fliers in every case of PSM cutlery to let our customers know these are not compostable. 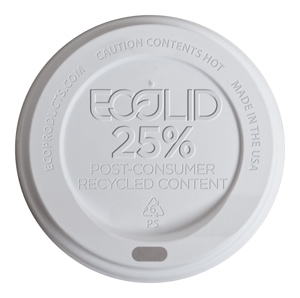 Updated our carton art to further highlight the lack of compostability. 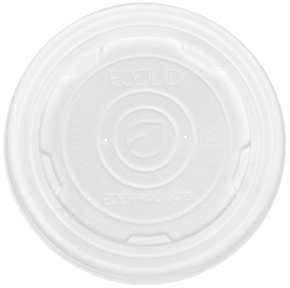 Continued to emboss “non-compostable” on every utensil. 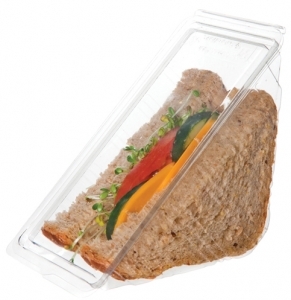 We hope that these changes have made it more likely that PSM cutlery goes to the right place – the landfill. 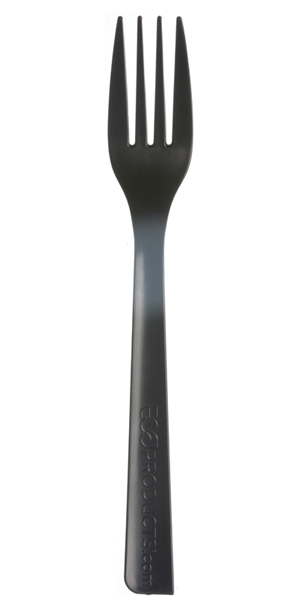 Because of the popularity and environmental benefits of PSM cutlery for non-composting operators, we are shifting the focus of our goals. 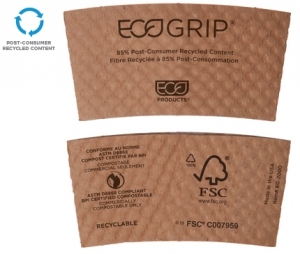 Rather than work to phase out PSM by 2020, we will instead focus on the on-going task of ensuring that composting operators are not using non-compostable products – be it PSM or BlueStripe. By 2019, we aim to complete our Waste Diverters Database, which will identify national account customers that have implemented front-of-house composting programs. 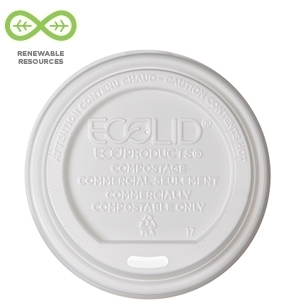 In 2020, we will build on that by developing and implementing a system by which we will continually monitor such accounts, identify which ones are using non-compostable products, and work with them to transition to compostable alternatives. Through this work, we seek to expand the abilities of operators across the country to compost their front-of-house organic streams and minimize the amount of contamination arriving at composting facilities. 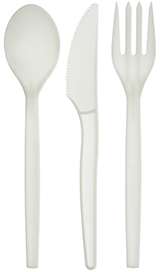 If you would like to learn more about why we still believe that PSM cutlery is a better alternative than traditional plastic utensils, or for more history on this products, please see our previous Sustainability Reports. 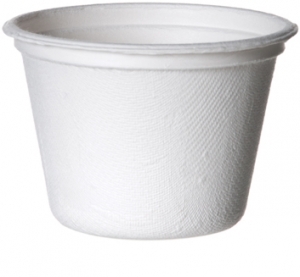 Large polyethylene sleeves that hold cups, plates, and other products are difficult to recycle in your typical single stream bin because they get caught in machinery and really mess things up. 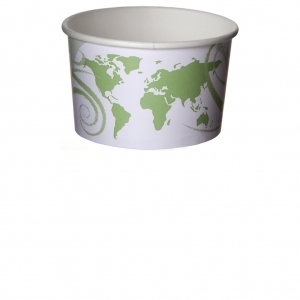 However, there are many locations across the U.S. that collect plastic films to be recycled. 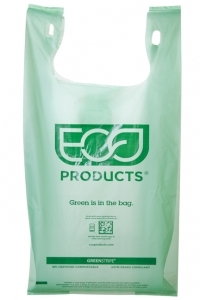 We have been discussing ways to augment the programs that are run by Wrap Recycling Action Program (WRAP), a public awareness campaign created by the U.S. Environmental Protection Agency and the American Chemistry Council, which promotes recycling of plastic film packaging. Although these discussions have slowed down due to the uncertainty surrounding the effects of the National Sword policy, we look forward to continued conversations with WRAP and others in 2018 to see how to better connect our customers with these programs. 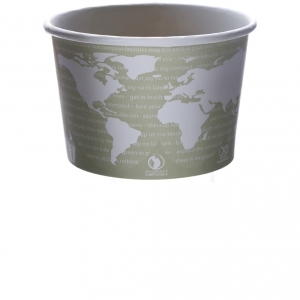 In many of our products, we use a compostable plastic called Ingeo™, which is a type of Polylactic Acid (PLA) that is made from a mix of conventional and genetically modified (GM) field corn grown in North America. 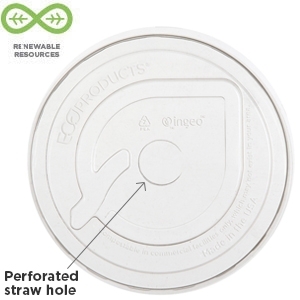 Ingeo™ and our products themselves do not contain any GM material due to the manufacturing process and the part of the kernel that is used, but the fact of the matter is that some of the corn used to make our materials is genetically modified. 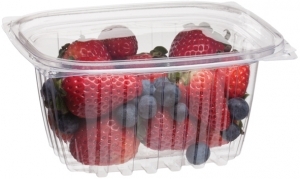 We have conveyed to our supplier of Ingeo™ PLA, NatureWorks, our strong preference for non-genetically modified sources. 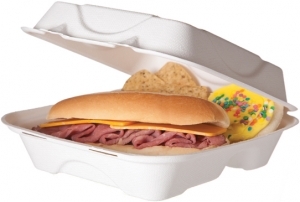 Also, we are evaluating some of the compounds that we use to make bagasse products grease- and water-resistant. 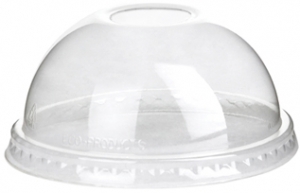 Our current materials meet Food & Drug Administration requirements, but we are continually looking for the best available options to optimize our products. Technically, there are no GMOs in our products because the part of the corn kernel used in our products is not genetically modified, and the high heat used in manufacturing removes all traces of genetically modified material that might happen to slip in. Nonetheless, we feel it is disingenuous to market our products as “GMO-free” when this is not true of the feedstock used to make this cutlery.